Blue Smoke Sushi Lounge officially opens to the public for lunch and dinner this Friday, September 26 at 11:30am, kicking off its grand opening weekend with a ribbon cutting ceremony. Blue Smoke is an izakaya-style small plates eatery with a lounge-like feel located in Fashion Valley Mall - the sister restaurant to the highly successful Blue Ocean Robata and Sushi Bar in Carlsbad. The menu features robata grilled items, specialty rolls, sashimi and entrees. The highlight of Blue Smoke is the table-side service and interactive dining that brings the kitchen out to the dining room with dishes like hot stone ishiyaki /wagyu beef, fresh tofu made/coagulated table-side and chili-orange chocolate fondue. Blue Smoke also boasts an extensive sake and soju cocktail menu created by well-known San Diego mixologist Lucien Conner as well as rotating craft beers on tap. The 82-seat eatery with its izakaya small plates is perfect for a quick meal break between shopping and before or after a movie. 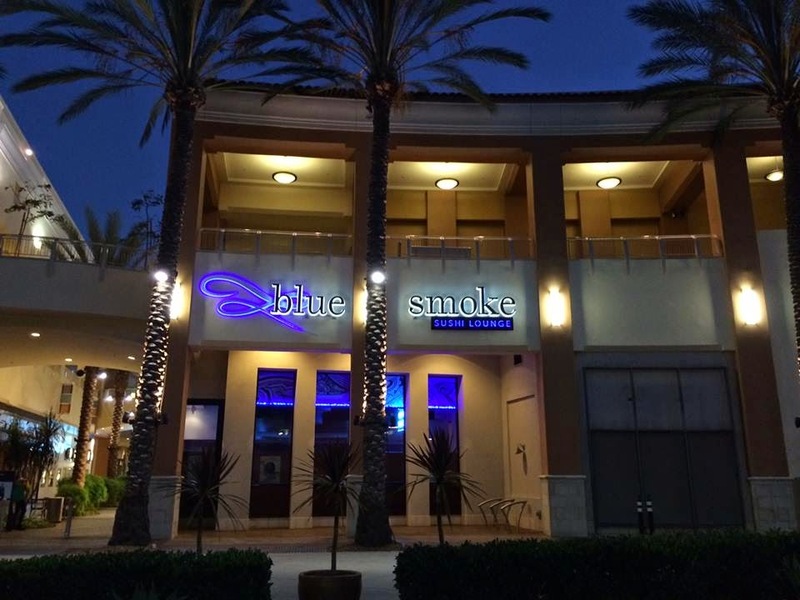 Visit Bluse Smoke Sushi Lounge at 7007 Friars Rd, Suite 336, and for more information, call (619) 291-7711 or visit bluesmokesushi.com.